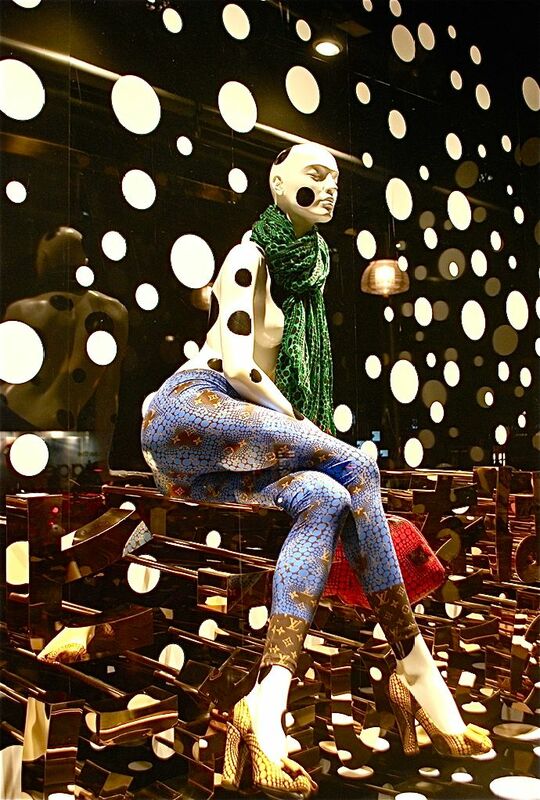 The stars, the earth, I and you: We are but one polkadot is just the beginning of the rhythmical poem of dots that has spread over Oxford Street, London. 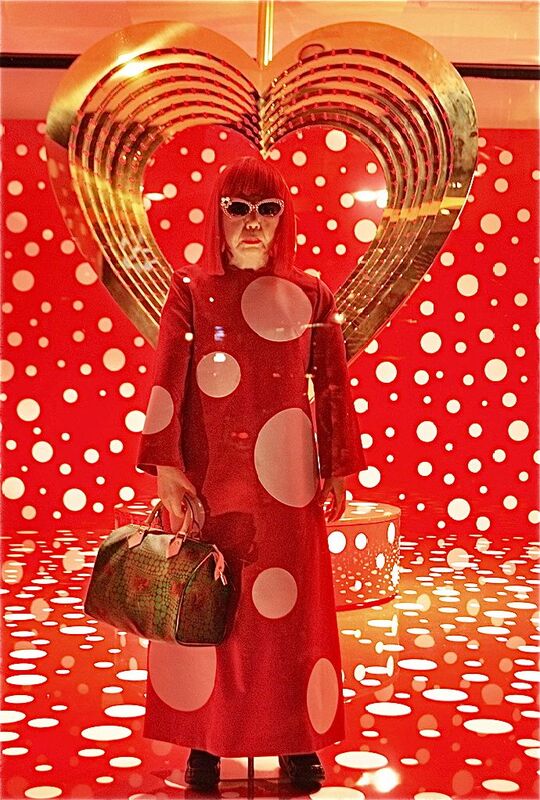 To celebrate the exclusive showcase of the Yayoi Kusama and Louis Vuitton collaboration, Selfridges is hosting a concept store which has emerged from the insanely creative vision of the famous Japanese artist Yayoi Kusama. 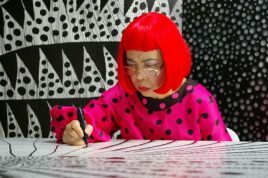 If you wonder where to find this oasis of polkadots in the maze of luxury goods and beauty products that Selfridges excel at, the answer is as simple as the shape itself: Just follow the trail of dots that guides you towards an incredible realistic self portrait of the iconic artist. 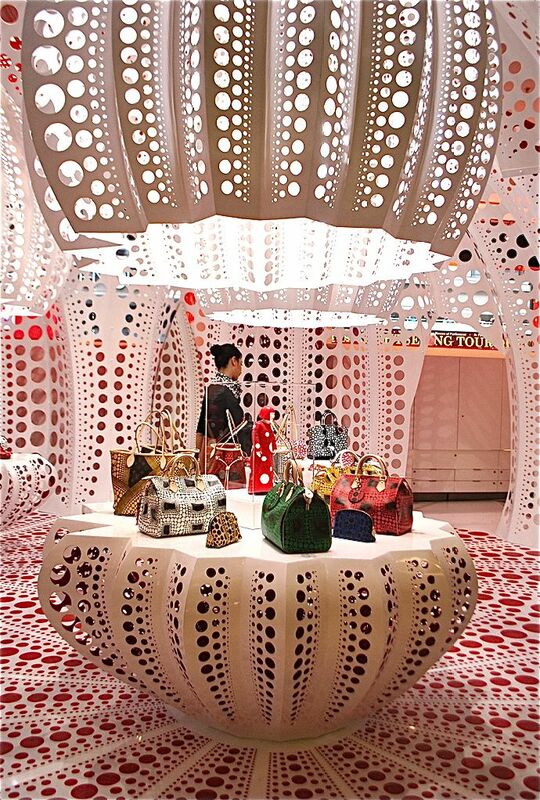 The fusion of Marc Jacobs’ feminine silhouette and Kusama’s bold and expressive signature mark is showcased in an environment that reminds you more than anything of a futuristic space shuttle hurtling towards the infinity of planet polkadot! 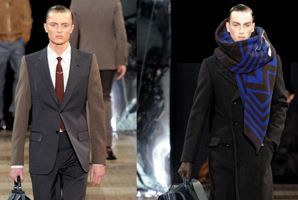 Pumpkin-like shapes emerge from the ceiling and no single surface has been left untouched by the dot. 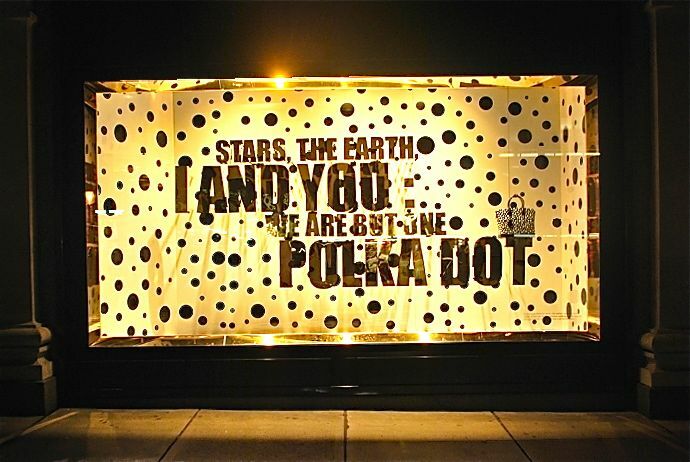 The polkadot poem continues outside, where all the 24 window displays offer you a peak in to another scene of the dotty fantasy world of the Japanese artist. 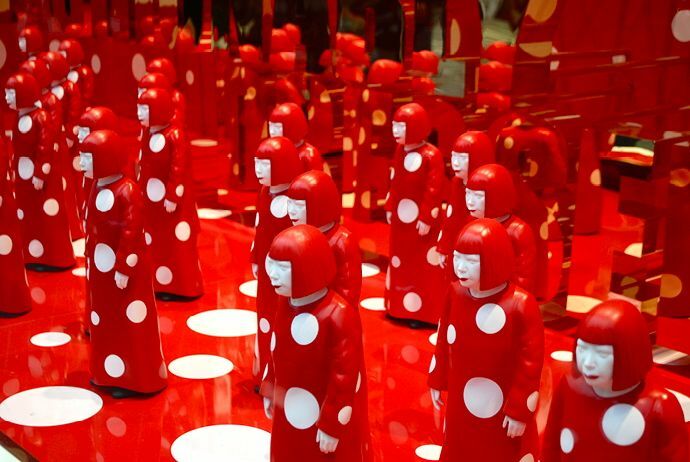 At the entrance two more statues of Kusama herself stare down at the diverse stream of passers-by, who are happy to capture themselves in photos with the flaming redhead. 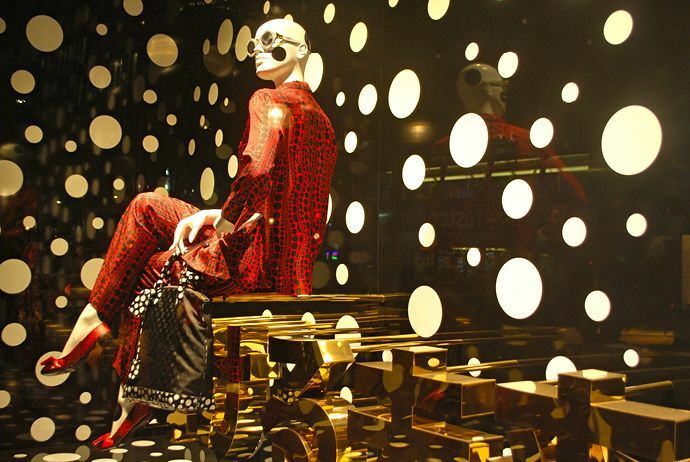 The Polkadot might be a symbol of infinity, yet the concept store doesn’t run forever. If you want to experience the captivating beauty of the dot yourself, do visit before the 1st of October 2012.